Tired of awkward shortcuts to remember just to get accents and diacritics on a qwerty keyboard? Upset by having to switch between several virtual keyboards? How to type accent marks and other diacritics on a QWERTY keyboard? Typical question... But all the solutions you will find on the Net break your typing rythm by using key combinations and shortcuts. Shortcuts? Really? Thanks to keyxpat, your hands will stay in place; é, Ø and ß lie where you expect them to be from the beginning: on the E, O and S keys (configurable). 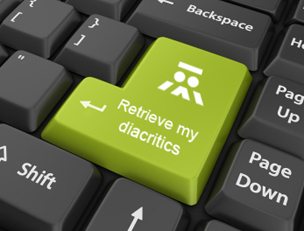 Be productive again, in your native language or any language you speak requiring diacritics, as if you were on a multi-language keyboard. How it works For who?